3115 Mangifera indica - Glenn Mango, Grafted ? This Indian / Indo-Chinese hybrid fruits consistently every year. It is a Haden seedling, and much like the Haden it is a Florida favorite. It has a very attractive appearance with a mild, sweet flavor. The fruit is virtually fiberless. Excellent eating quality, consistent production, and effortless to grow. 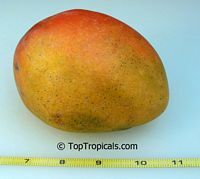 It is easy to determine when to pick because the fruit will turn yellow at its base. Relatively cold hardy variety. 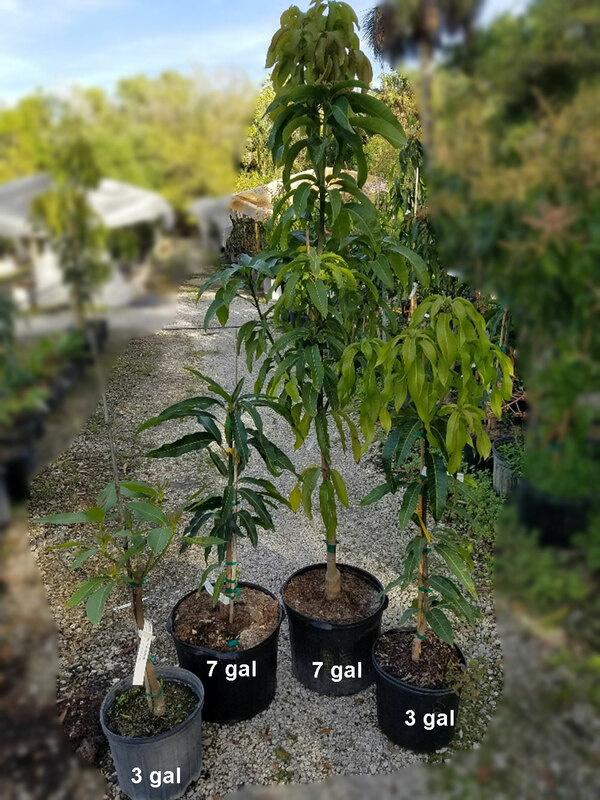 4347 Mangifera indica - Glenn Mango, Large size, Grafted ?